Our children’s bunk beds come in a variety of shapes, colours and sizes, including L-shaped bunk beds and bunks with clever storage. 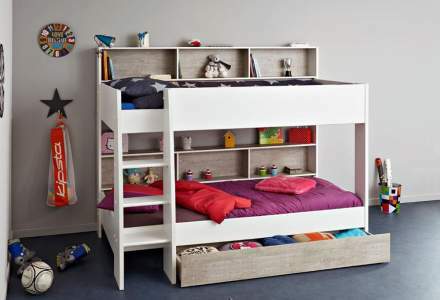 We have both girls and boys bunk beds for sale with deep steps and hand rails to assist little ones with safe climbing or traditional straight and slanting ladders. You won’t be disappointed with our wide variety of styles and designs either. 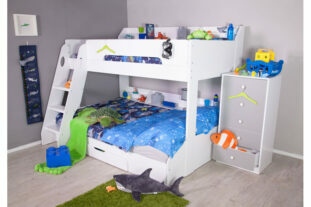 Our bunk beds for kids are available in modern, funky and minimalist styles that come in many colours and finishes so we have something to accommodate children of all ages. 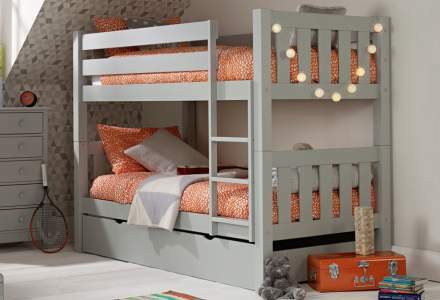 You can use our internal search tool to view the full range of bunk beds available. 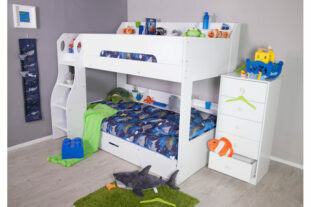 From cabin beds to high and mid sleeper beds, we guarantee you’ll find your perfect children’s bed with Room to Grow today.